Built-in microphone with a 2-feet pickup range allows the speaker to double as a handsfree speaker phone. Great deal I don’t know if they are any good but that’s exactly what I need. FREE UK Delivery on orders dispatched by Amazon over £20. Nice little speaker, fabulous price. Be great for the kids at that price, thank you for the share. Wow this is an amazing price. Would be great as a birthday present for most ages or for yourself. Has any bought one I need the past and can vouch for its quality? I bought one about a month ago as a gift and it does seem like one of the better quality ones. It plays really well and very easy to set up. I would recommend. worth a go at that price, thank you for sharing this offer! Very good find and great deal - I bought this for someone recently and it appears to be good quality. Thank you for sharing. 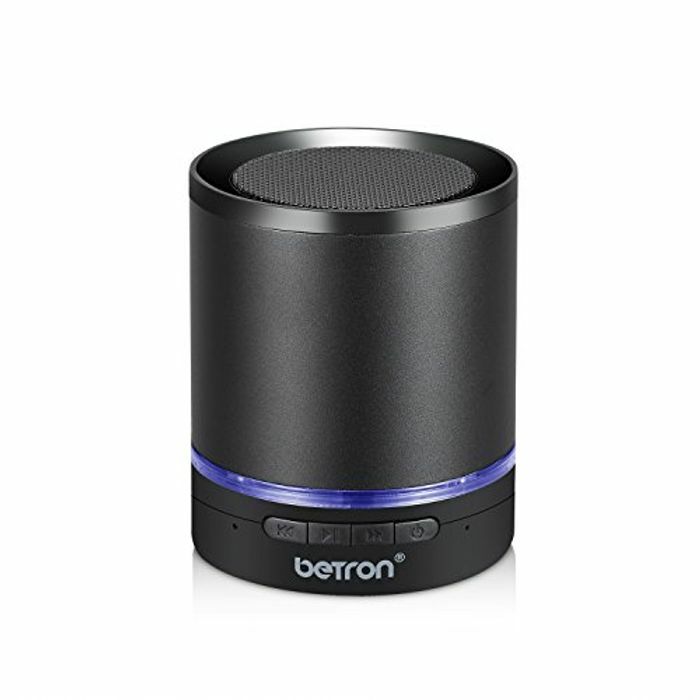 Betron also known as Sephia are a great company there bluetooth speakers are very good sounding and if anything goes wrong they are fast acting. Also quick delivery. This is a true bargain.